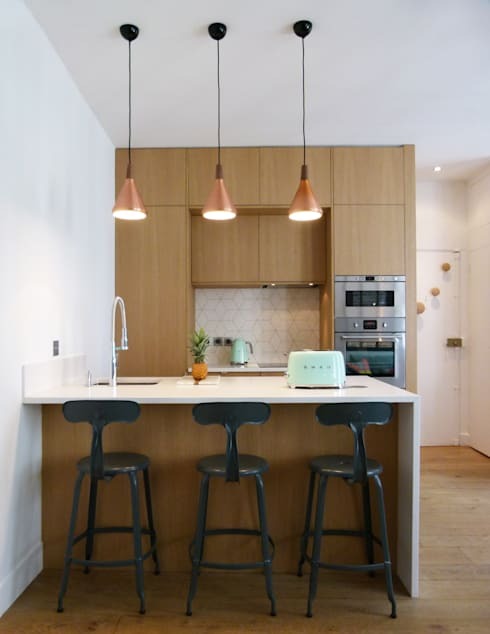 Paris interior architect professionals, Transition Interior Design, are all about elegance and understated beauty, which is why this CAD $50,000 renovation is just so impressive. 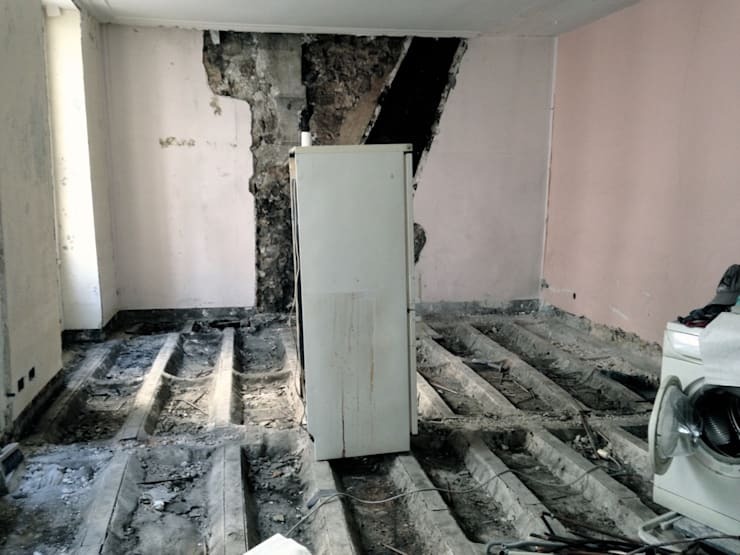 This 380 square foot (36 square meter) apartment was in serious need of some love and attention. It was old, out of style and dilapidated with nothing homely or appealing about it. After these designers intervened, however, the home was transformed into trendy and stylish space that looks like it comes out of the pages of a design magazine. 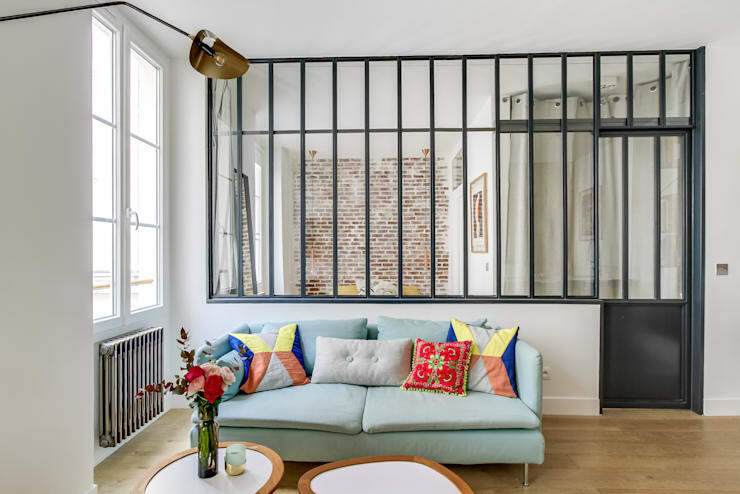 Today, we will learn how we can bring a bit of Parisian glamour into our very own homes as well as just how much potential even the most run down of homes can hold. As we can see in this image, the home was barely functional before the intervention. 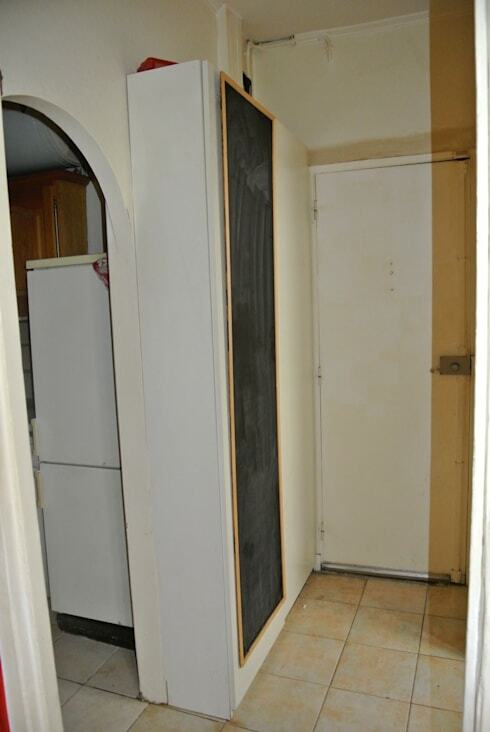 The floors didn't exist, the walls were falling part and it looks like there is very little hope for this home! We can see that this room may have once been the kitchen with the kitchen appliances lying around, but now it simply looks like a dump! The bathroom is one of the most depressing rooms in the house before the intervention, with old and stained walls, shabby windows and features that look like they come out of the dark ages. With this room is such a state of disrepair, it makes the hairs on the back of our neck stand up! The entrance to the home was also very depressing with its washed out, old floors and yellowing walls. Your entrance is meant to be one of the most appealing places in the home, welcoming guests in and setting the tone for the rest of the home, yet this entrance is bland and bleak. We can see there was once some creativity and style in this home, in the form of a black board on the wall, which could be used to write down shopping lists or inspirational quotes. However, the owners of the home have let everything fall into a sorry state, which doesn't make walking through this front door very exciting. Have a look at these 13 fabulous entrances for small homes for inspiration for your own home! The first glimpse into the new home design is this modern, industrial chic bedroom where the designers have made the most of the raw materials available to them. 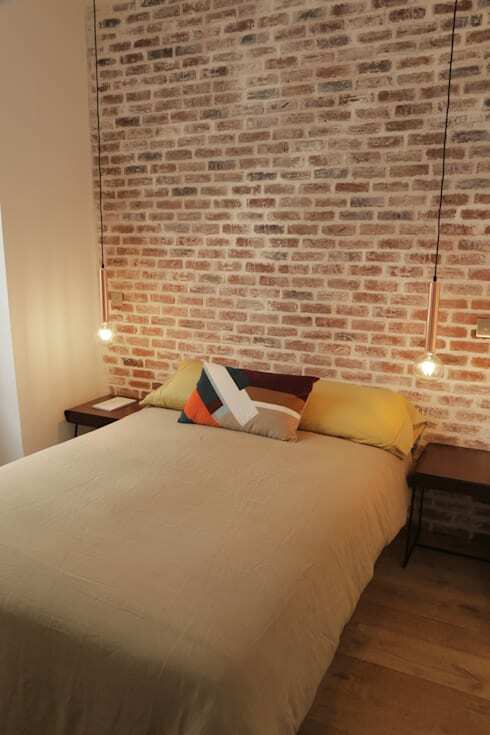 The entire wall behind the bed has been left as is, with the raw bricks bringing a gorgeous and stylish ambiance to the bedroom environment. It works in harmony with the wooden furniture, wooden floors and the brown tones used for the linen. Lighting is also key to this space! The designers have chosen thin, retro lamps that hang from the ceiling, which give the entire room a soft glow. The kitchen that we saw in the first image has been completely transformed thanks to the fresh new wooden floors, wooden kitchen cabinets and shelves, sleek white counter tops and silver appliances. The designers have created an open plan design, opening the home up so that it looks that much more spacious and appealing. A little breakfast bar keeps the kitchen slightly separate, while allowing for a little nook where the family can relax and catch up over more casual meals. This is also the perfect spot to sip on a cup of coffee and read the newspaper or chat to the chef while he or she is cooking up a storm! Lighting also plays a big role here. Industrial chic copper lamps hang from the ceiling, offering the perfect amount of light to the space without it becoming too overwhelming. These are both functional and trendy! In this image, we can see how the designers have introduced some gorgeous pastel colours and patterns into the living room, making for a very homely environment! The pale blue sofa and vibrant cushions add charm and life to this otherwise neutral space, while a vase of fresh flowers is the perfect decor accessory for this beautiful home! We can also see how natural light plays such a big role here, opening the home up and making it look spacious and bright. Glass windows also separate the living space from the bedroom, which ensures that the home doesn't look too constricted or closed off. The wall that runs along the bottom still allows for some privacy, however. 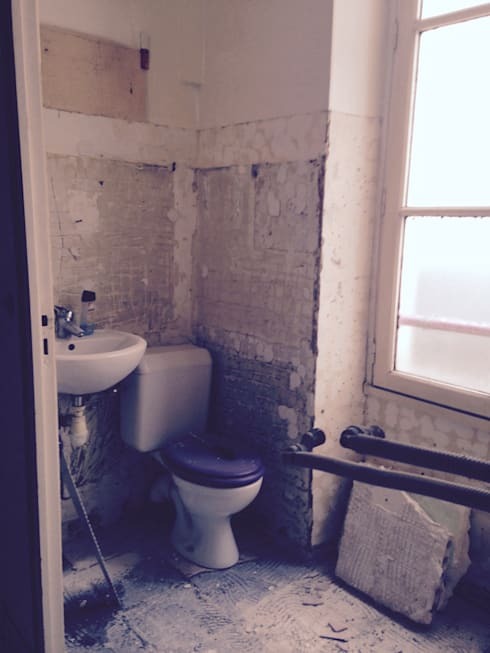 The bathroom has been completely transformed compared to the bathroom that we saw before the intervention! The designers have gone for a slick and minimalist look and feel with white dominating the space. A touch of wood has been added here and there to bring a bit of warmth and homeliness to the space. You don't want your bathroom to look too clinical. 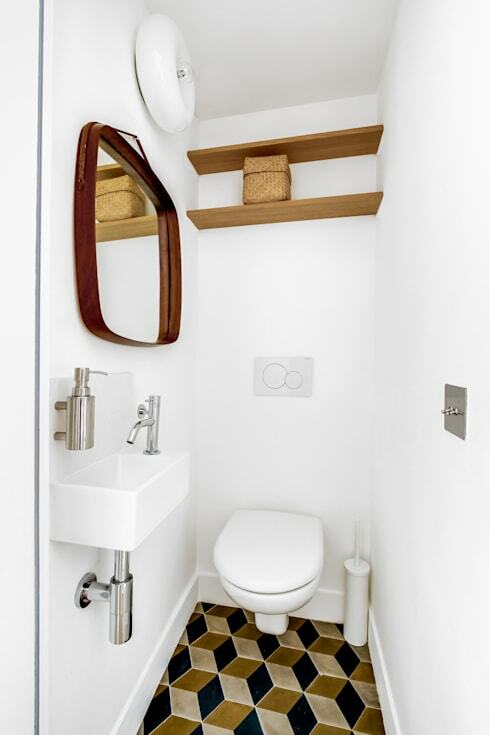 You'll also notice that the designers have added shelves to the wall above the toilet, which allow for a storage space. This keeps items like toilet sprays and towels neatly stored away, without taking up any floor space. This home is now incredibly appealing and attractive! What do you think of this make over?